Vermentino isn’t the best known grape - but it’s a popular white wine grape in Tuscany and super underrated in our opinion. It’s a great all rounder, but as Vermentino's usually dry and crisp it works really well in the summer. 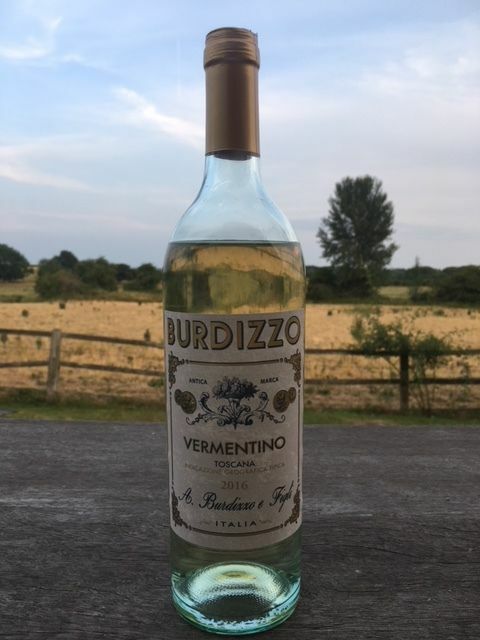 It’s been pretty baking hot here in the UK hasn’t it dear friends - so it’s the perfect time to give a Vermentino a pop! Along with Vermentino's freshness and acidity, it usually has good body and plenty of rich aromas. This Burdizzo from Asda is great value for 6 quid, and a really good example of the grape. There are plenty of lemons and pears jumping out of this one, it’s delicious to drink on its own, or with food. As with with most white wines, fish would work well, and the citrusy notes in this wine mean that this pairing will be especially good. But the rich aroma of the Burdizzo also makes me think herbs - so get a load of dill and fennel going on with the fish, and you’ve got a beautiful meal for the scorcher of a summer that is 2018!